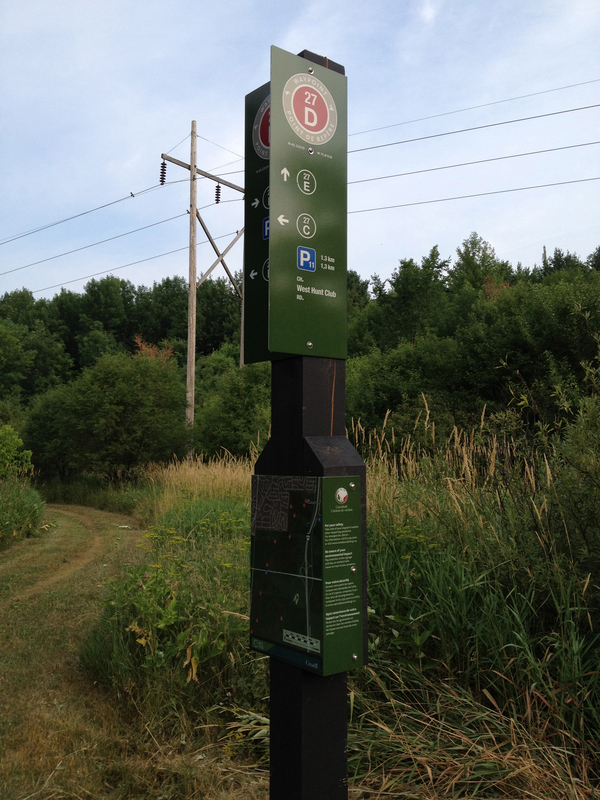 The myriad of trails throughout the NCC Greenbelt has this unique signage system to help users navigate their way. Once one gets used to the idea that the number and letter code at the top of each post designates their specific location on the trail, versus the norm of each trail having its own designation, be it a name, colour or number, the rest is easy-peasy. The location codes correlate to the trail map affixed to each post. 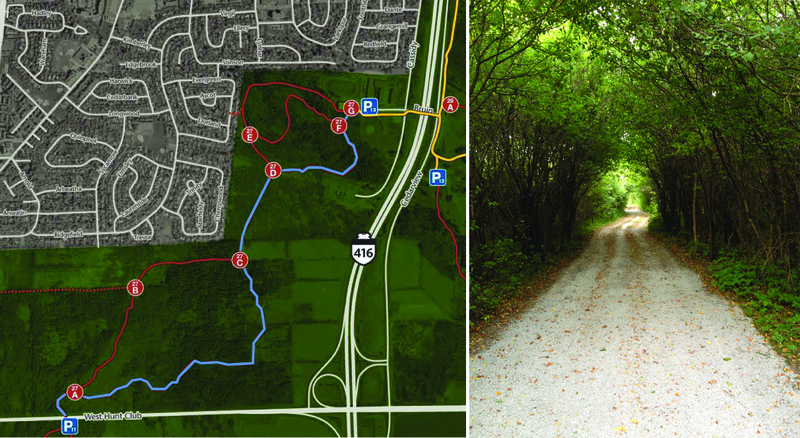 You can also download all of the Greenbelt trail maps here. I found myself travelling through a section of the Stony Swamp trails I’ve hi-lited in blue on this map, along with an image of only one of the wonderful natural landscapes I passed through. I also came within yards of deer on three occasions, including these two staring back at me. After exiting the trail at West Hunt Club Road, I was unable to access trails on the opposite side of Moodie Drive because of the brush fire in that area. Access was blocked off to everyone, except these turkeys who chose to ignore the barricades. I photo’d them from Moodie. 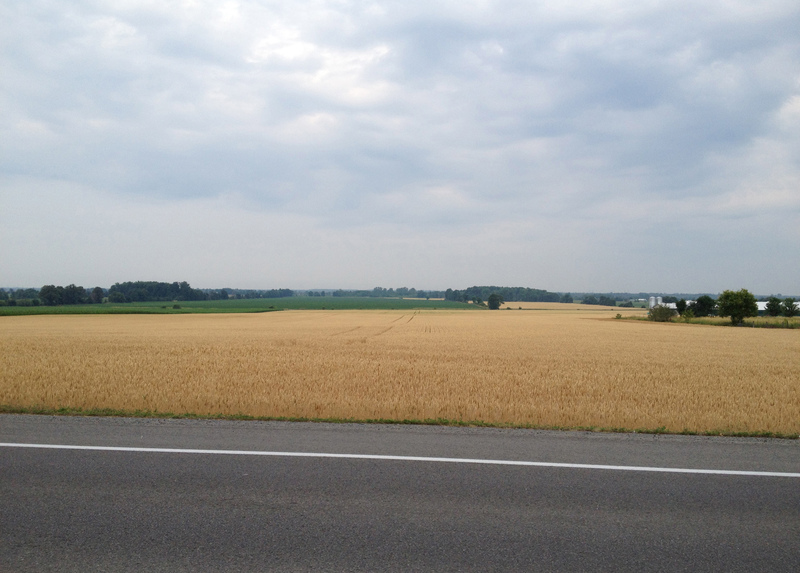 Closing this post off with an image of one of The many farms circling Stony Swamp. Wow, I want to go here for a ride. It’s a beautiful area. Hope the NCC will soon be able to allow access to the trails affected by the brush fire.